3 Bedroom Semi Detached House To Rent in Manchester for £1,100 per Calendar Month. This beautifully presented semi detached property is located on Wilbraham Road, in the heart of residential Fallowfield, and is perfect for 3 professional sharers or a small family. 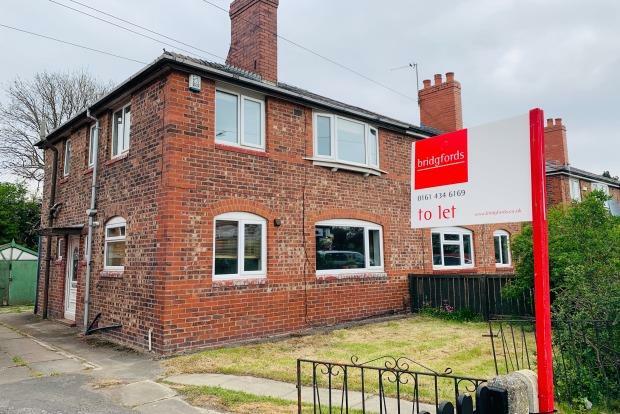 Set back from the main road, and boasting both front and rear garden along with driveway parking, this is the perfect property for professionals looking for easy access throughout Manchester. To the ground floor is a spacious lounge, a modern fitted galley style kitchen benefitting from all appliances and a large belfast sink, plus a large rear room overlooking the garden to provide a large 3rd bedroom. Upstairs are 2 further large double bedrooms, with the 3rd bedroom free to use as a study, office or second chill out room, or even as a single guest room. There is also a modern fitted bathroom with bath and shower, and the separate WC making it perfect for sharers.